I'm nine weeks post now and my new growth is thick and requires some time to fully detangle. 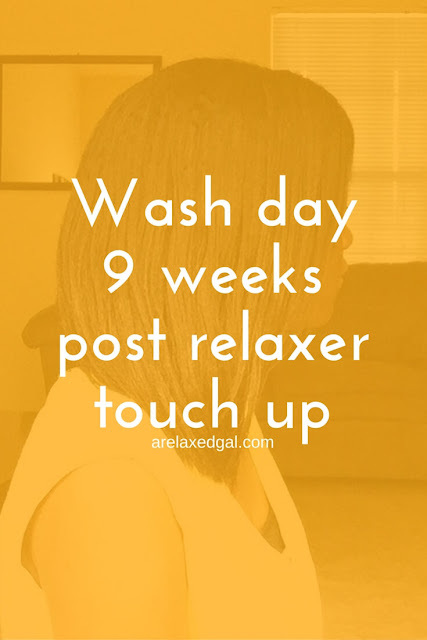 Despite this, I was able to achieve smooth hair after my latest wash day. This was a combination of how well I detangled my hair before washing, the products I used and how I dried my hair. Here are the details. This week I got the detangling process started the evening before and did an overnight deep condition. I also continued my participation in the 30 Day Hot Oil Treatment Challenge. Here's the summary of my wash day. Pre-pooed and detangled with Eden BodyWorks Jojoba Monoi Deep Conditioner. I left the conditioner on overnight. The next day I applied my hot oil treatment on top. 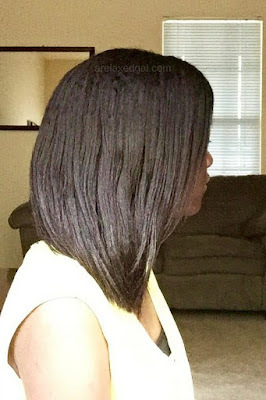 For the treatment, I used grapeseed oil, almond oil and three drops of tea tree oil which made my hair feel great after rinsing and set the stage for great wash day results. 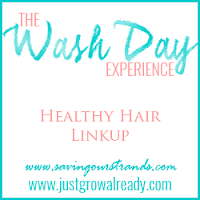 I washed with SheaMoisture Manuka Honey and Mufura Oil Intense Hydration Shampoo as I wanted to give it another try and cleanse with a moisture-based product. I mixed the shampoo with water in an application bottle. My hair felt better this time after using the shampoo. Next was my green tea, apple cider vinegar rinse that I followed up with Aphogee 2 Minute Reconstructor. To finish up I t-shirt dried for a few hours, applied Eden BodyWorks Coconut Shea Leave In Conditioner and then tension dried with my blow dryer for a few minutes till my hair was mostly dry. I sealed with almond oil and put my hair up in a bun for the rest of the day. So far I'm really liking the almond oil for a sealant. It made my hair feel really soft and added a nice shine. That night I braided my hair in one braid down the back and used a satin pillow roller on the end. The result was some soft waves. After a couple of days, the waves smoothed out. To keep it simple and to protect my ends I have been wearing my hair up for most of the week either in in buns, clips and a ponytail or two. How are you wearing your hair this week? Your hair is so smooth and thickness is maintained! Beautiful results Leah! 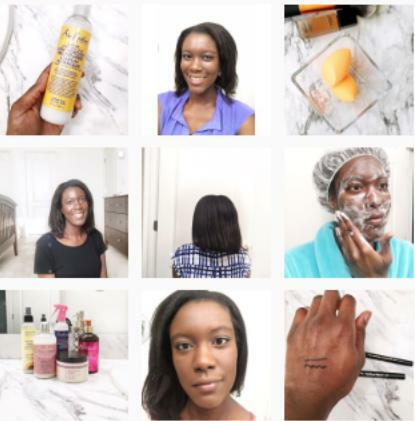 How to like the SheaMoisture Manuka Honey shampoo? Thanks KLP. So far I've been liking the Manuka Honey shampoo. It may end up being the moisturizing shampoo in my regimen. Your hair looks great, Leah! You're doing a fantastic job keeping it thick and healthy.